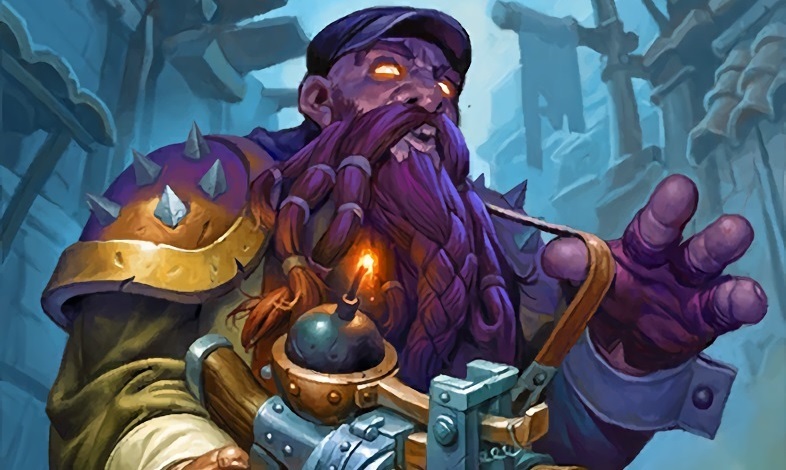 The Hearthstone World Championship is taking place this weekend, but how has the Shaman gone from one of the most omnipresent decks at the HCT Summer Championship to completely absent? Shacknews takes a look. The Hearthstone World Championship weekend is underway from Amsterdam. The Netherlands is playing home to the 16-person tournament, in which a new Hearthstone World Champion will be crowned. The first day of competition has concluded, with the tournament's players bringing in some of the most powerful decks seen across the game. Earlier this week, Shacknews broke down some of the noteworthy decks to watch. For today, Shacknews would like to look at some of the classes that aren't present at the tournament. The Warrior class has been left at home, for various reasons. 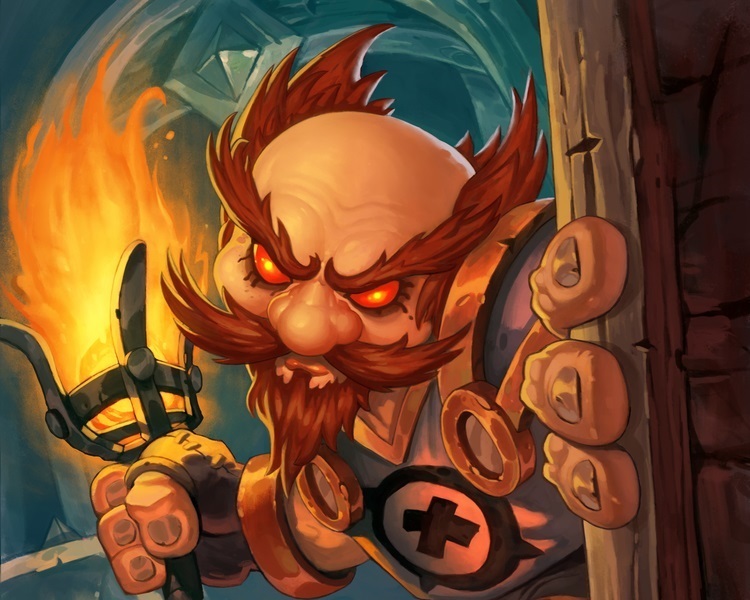 They include the class not getting enough new tools in the Kobolds & Catacombs expansion, the other classes containing better control options, and more. But there's also another class that's noticeably absent from the weekend's action. The Shaman was one of the most omnipresent classes for the past couple of expansions. In particular, the Evolve Shaman was terrorizing both the Ranked ladder and the competitive meta. It started off fearsome with the additions of Evolve and Doppelgangster and only looked to get stronger with the addition of the Death Knight Hero Card, Thrall, Deathseer. So what happened? How has the Shaman fallen so far that it's been left completely out in the cold at the World Championship? Shacknews takes a look at a couple of reasons. One of the major strategies surrounding the Evolve Shaman involves getting as much board presence as possible. However, the addition of the Kobolds & Catacombs Recruit mechanic has served to work against the Shaman player. Shaman received no class-specific Recruit tools, which makes it tougher for it to keep up with some of the other classes and the tools that they received. Those classes include the Paladin and its Call to Arms spell, the Druid with Oaken Summons, and especially the Warlock with Possessed Lackey. The Shaman zoo strategy helped set up some good Evolve plays. There have even been some good variants on this strategy. One example came from Jon "Orange" Westberg in the HCT Summer Championship, who brought along a Sea Giant to take advantage of the numbers. But with new tools making it easier to relieve the Shaman of his minions, the zoo strategy has started to fail the Shaman player more and more. But hey, at least there's still Evolve and Doppelgangster, right? Well… yes and no. One of the keys to success in the competitive space is trying to minimize as much of Hearthstone's RNG elements as possible. As great as Evolve is as a spell, it's still essentially a roll of the dice. There just happened to be so many dice that the odds of success were a little bit higher. That has changed greatly with the introduction of Kobolds & Catacombs. The trouble now is that the expansion has introduced more expensive minions with lower base stats and greater Battlecry effects. That's great for anyone playing those minions, but it's a nightmare for the Evolve Shaman if they roll those minions. There was always an outside possibility that an Evolve roll on a Doppelgangster would leave one 1/1 Big-Time Racketeer. But now there are many more of these types of minions to watch out for. Shaman can roll a 7-cost 1/1 Lynessa Sunsorrow, a 7-cost 3/3 Silver Vanguard, a 9-cost 2/4 Dragonhatcher, or even a 9-cost 3/3 Dragoncaller Alanna. Because of the increased potential for disaster, the Evolve dice roll doesn't feel worthwhile anymore. It's become better to with more reliable decks like the Highlander Priest or Cubelock (Warlock with Carnivorous Cube). Almost every class has been given tools for multiple decks. Mages can go BIg Spells or Secret, Priest can go Highlander or Dragon, Hunter can go traditional aggro or spells-only, etc. Shaman, however, has been given few other tools for anything other than Evolve. 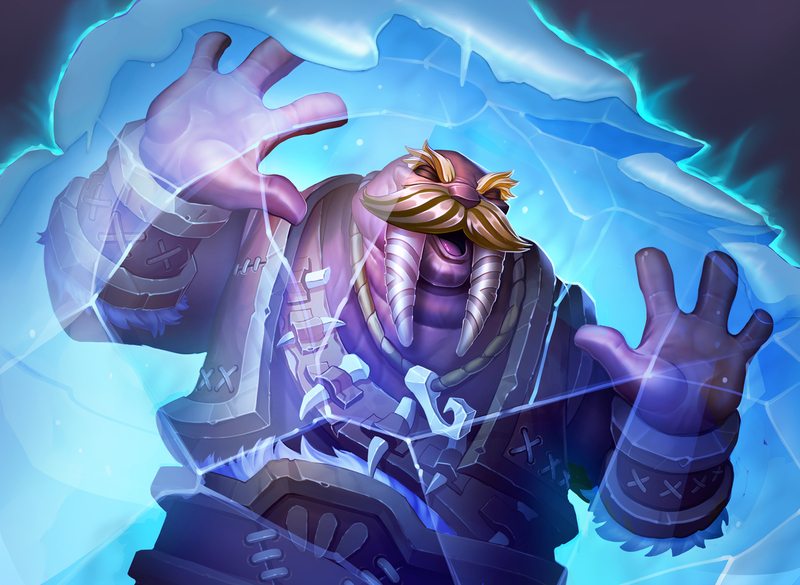 The Freeze Shaman archetype, first introduced in Knights of the Frozen Throne, hasn't taken off the way Blizzard hoped. And the Elemental Shaman has some good cards, but is not only too slow to keep up with much of the meta, but also not as fun to play as Elemental Mage. So with little in the way of alternatives, there isn't much reason to play Shaman in any kind of serious competitive setting. The class has been left by the wayside and, for the moment, doesn't have a lot of prospects for getting better. Both Evolve and Doppelgangster are set to rotate out of Standard in a couple of months, with only Unstable Evolution and Thrall, Deathseer around to help keep the Evolve Shaman alive. That's a good reason that Shaman is absent for the weekend and will remain absent from the competitive Hearthstone world for the foreseeable future.